Blue calcite is a colored variety of the mineral. 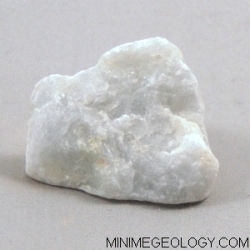 Soft calcite is characterized by a pearly to glassy luster, white streak and its ability to dissolve in acid. Samples of calcite are present around the world and have many common uses such as in building and manufacturing.